Ryan Seacrest is an executive producer of Kim Kardashian’s reality show Keeping Up With the Kardashians and according to Radar, is thought to be “well placed” to know whether another wedding is in the pipeline. Meanwhile, a source close to the couple has told Radar that Kanye West, 35, has been deliberating over a ring for some time. “It’s only a matter of time before Kanye pops the question,” the insider said. “They are madly in love with one another and as far as Kanye is concerned he wants to spend the rest of his life with Kim. The couple are currently in Rome on vacation to celebrate Kim Kardashian’s 32nd birthday on Sunday. Kim Kardashian was spotted out yesterday sporting a teal peplum dress and black heels as she enjoyed a romantic stroll around the city with Kanye West. The couple were spotted kissing passionately after a romantic meal in a local restaurant. 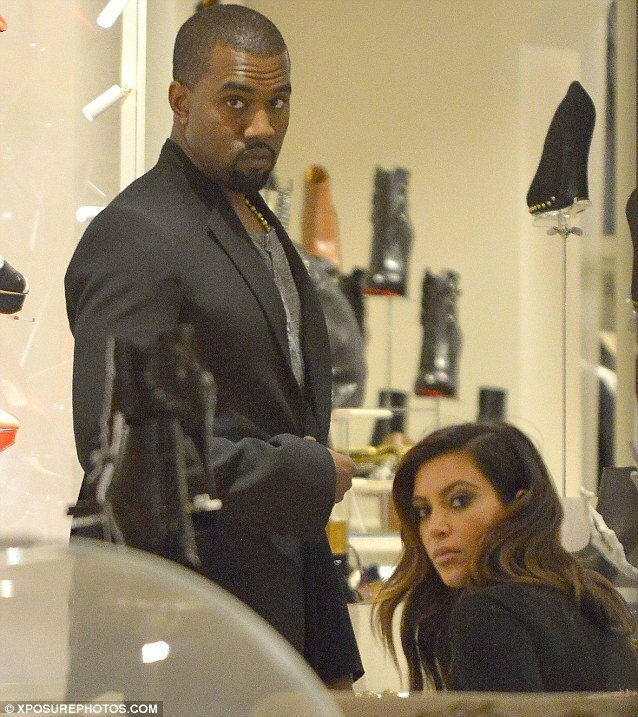 And on Friday, they stopped off at an upmarket shoe store where Kanye West and Kim Kardashian were both spotted browsing – perhaps for an early birthday present for the high-heel loving reality star. However, Kanye West seemed more interested in browsing the store, while Kim Kardashian sat on the couch checking her Blackberry. Kim Kardashian was taking a break from filming the new series of spin-off reality show Kourtney & Kim Take Miami.